Once again, this recipe was found in my archives of computer print outs, magazine tear outs and newspaper clippings that I've collected over the years. So, it was definitely time to give it a try! And let me tell you, it was well worth the wait. A wonderful combination of flavors, I served it with some flavored angel hair pasta and a beautiful tossed salad. So yummy! *personally I don't like when foods are overwhelmed with garlic, I cut way back on this so I could also taste the marsala and dijon. Heat the oil and butter in a large skillet over medium high heat. Cook the chicken or turkey until fully cooked. Remove from the skillet. Add the onion and saute until tender, approximately 2 minutes. Add the mushrooms and saute for 5 minutes, stirring frequently. Add garlic and stir for 30 seconds, until fragrant. Add wine and bring mixture to a simmer for a few minutes until slightly reduced. Stir in the dijon mustard. Add the mascarpone cheese and stir until it has melted and the sauce is well blended. Add the cooked meat. Stir to combine all ingredients. Simmer for a few minutes so the meat has warmed through. Stir in fresh parsley and serve. I loved being a part of this project, since it involved a dear friend and her daughter. My friend Carolyn, like most Moms, had hoped that the daughter she would have someday would be able to wear something of hers on her wedding day, so she had her gown and veil heirloomed some thirty years ago and pulled it out of the box about four months after her daughter, Christina got engaged. I was able to witness Christina trying on the whole ensemble, which involved a long sleeve satin gown and a matching satin wedding hat. It fit like a charm, but she looked like she was caught in a time warp, circa 1980! Christina was partial to the beautiful lace inlay from her Mom's train. She asked if I could incorporate it as the centerpiece for her cathedral length veil and also hoped that I could use the lace trim that was on the hem of the gown as the trim on the edge of the veil as well. 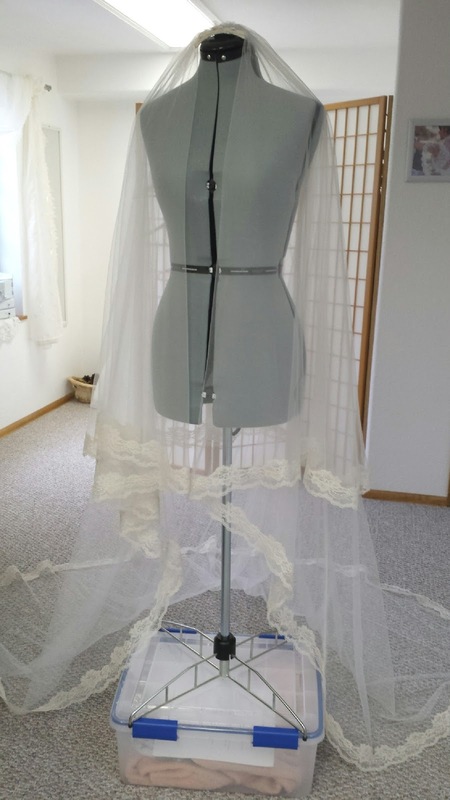 As it turned out, the lace trim was pretty worn, plus I didn't have enough yardage for the type of veil she wanted. 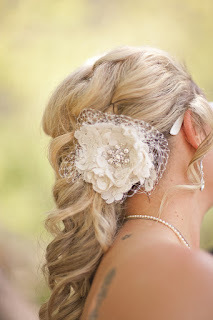 Instead, I went to work scouting out a border trim and found a beautiful alencon lace that would match her gown. 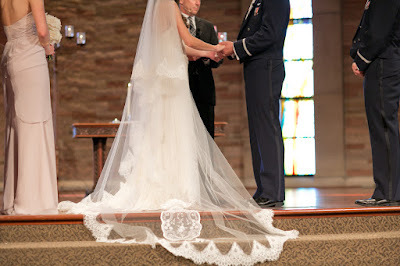 I love this veil and I love this picture that Katie (kbdigitaldesigns) captured! 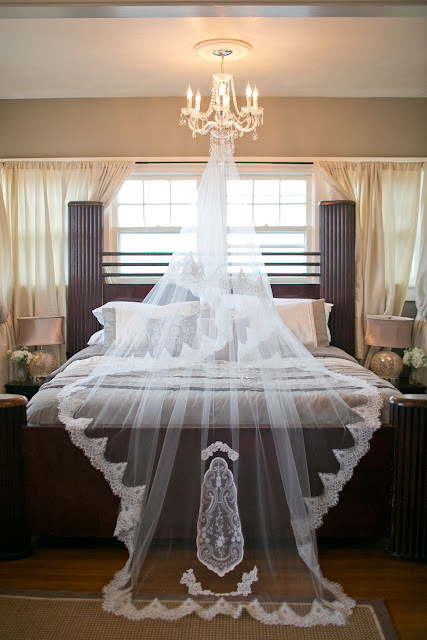 As you can see this is a very dramatic statement veil. I knew that Christina could pull this off, she is long, lean and statuesque, just perfect for this look! The alencon lace border is almost nine inches wide at the highest point of the scallop and it has a waist length blusher (very Grace Kelly and Kate Middleton "esque"). It drapes beautifully when the blusher is down, as well as when it's back. 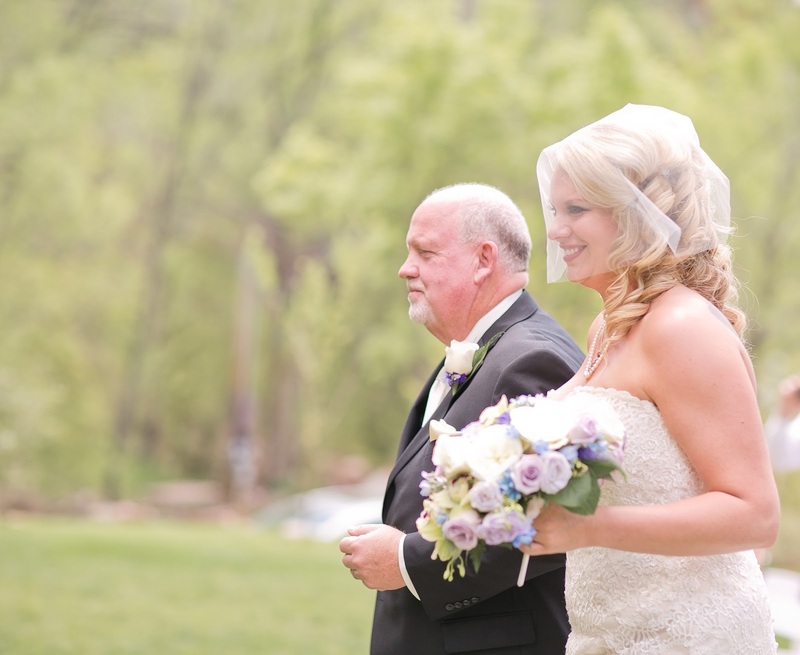 It's was a perfect compliment to her gown, which was a strapless alencon lace overlay. Once the inlay was on the veil, it seemed a little lost due to the width of the veil, so I used a couple of pieces of the beaded lace (from her Mom's sleeve) to create a framework at the top and bottom, to help draw the eye to the inlay. Christina, you were stunning and completely rocked it! I hope you felt as beautiful as you looked! Thank you for giving me the honor of helping you bring your vision to life and trusting me enough to allow me the creative license to design a true original. When I shared the wedding and rehearsal dinner invitations I made for this couple. I also mentioned I would share some of the other "print" related projects I helped with along the way. 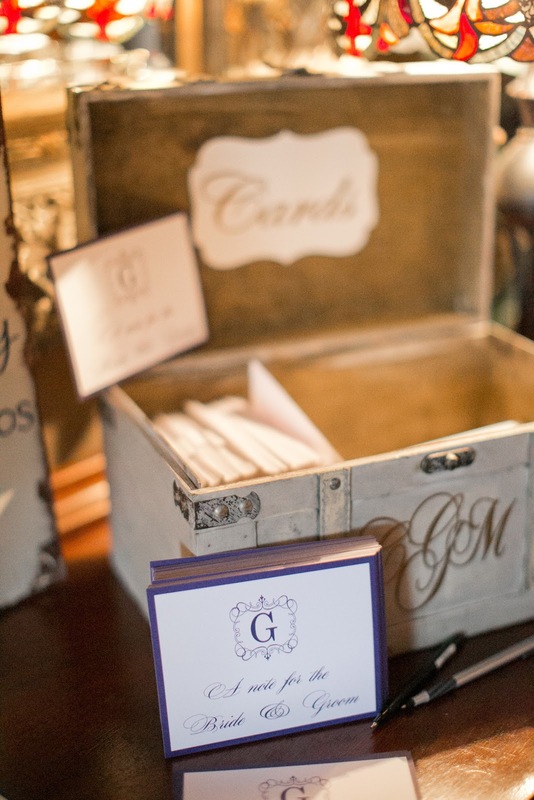 One of the first things the bride wanted after we finalized the invitations was Thank You cards, using the "G" monogram that I designed. She was able to begin using these right after her bridal showers and has re-ordered more since then. Next up, were note cards for the rehearsal dinner.....the guests were encouraged to leave a note of encouragement or advice for the bride & groom that they would read on their first anniversary! For the wedding itself, I made programs; this is the front of the program, the back side of the program listed the names of the entire wedding party. So fun! Christina and Mack absolutely nailed it when it came to the consistency, and elegance of all of their print projects. 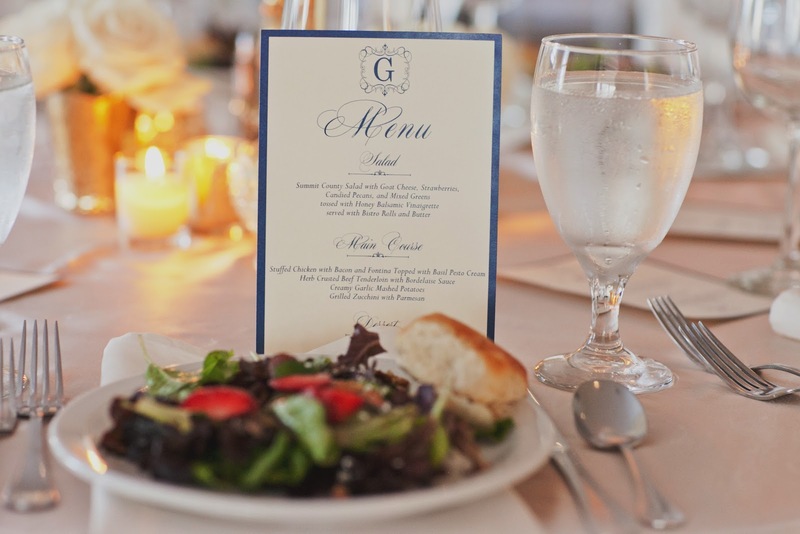 What guest couldn't notice the planning that went into every detail along the way? Well done you two! This veil was just perfect for the strapless tulle gown that beautiful Lauren wore on her wedding day. The veil was made of an ultra sheer illusion with a chantilly lace border.The entire ensemble was very romantic. The veil was a double tier; with a blusher that fell to her waist. 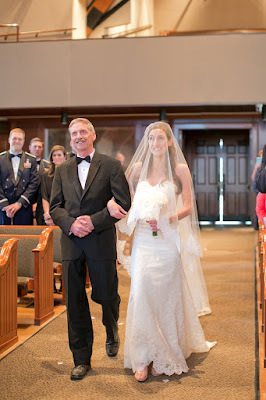 Since the back of the gown had buttons to the waist, Lauren chose to add some satin covered buttons to the top of the veil. 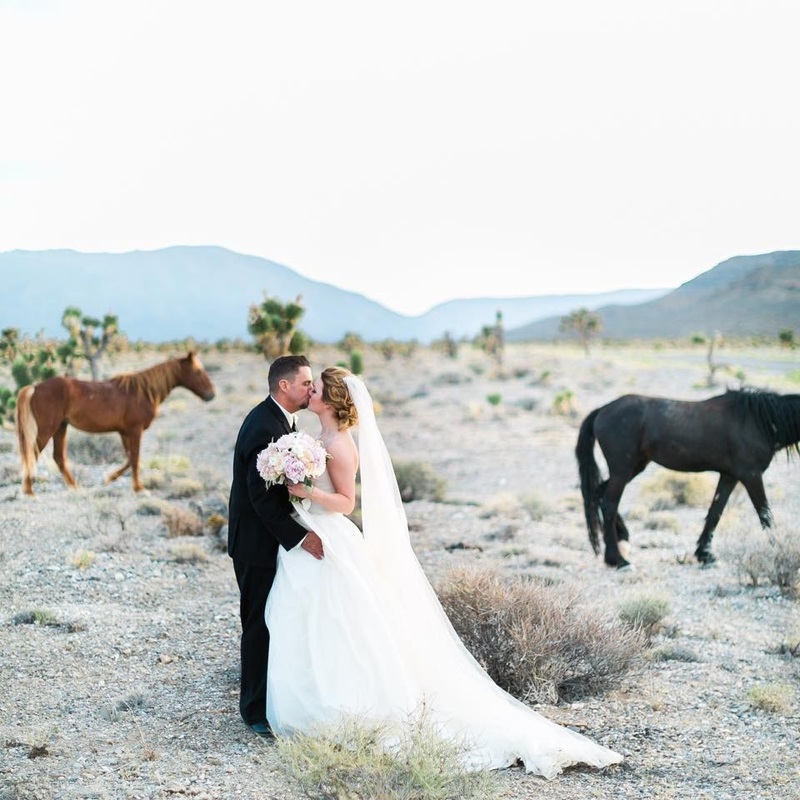 Lauren and her husband eloped in a private intimate ceremony in Las Vegas. 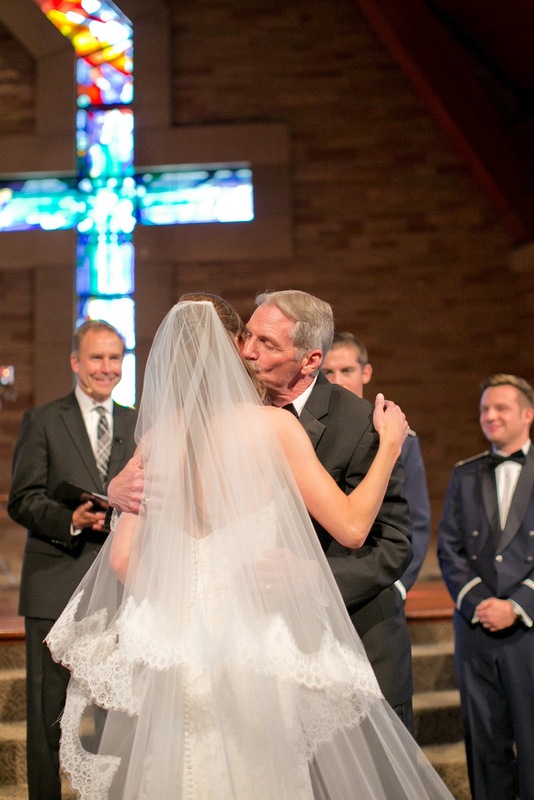 Lauren had tried on a veil similar to this in a bridal shop and they wanted $700! Crazy. This Shea Marie Designs veil was under $200. Congratulations Mrs. Trent. You looked absolutely beautiful! I'm not sure it's really a good thing that I stumbled across the idea of making cookies with a cake mix...it makes whipping up a batch of cookies way too easy! In fact, when I'm done with this blog, I need to get my walking shoes on and shift my pace into high gear, and maybe add an extra mile to my usual walk. The first cake mix cookies I made were lemon, and they were so yummy! I picked up a Devil's Food cake mix some time ago and it's been in my cupboard until an hour ago when I decided to make some cookies. I thought adding some Reese's peanut butter morsels to the mix for a chocolate/peanut butter palette pleasing combo sounded like a winner.....and they are! Mix the cake mix, oil and eggs together in a large bowl, using a wooden spoon. Once the mixture is moist, add in the peanut butter morsels. Roll into 1½ inch balls and place on a cookie sheet approximately 2" apart. Cook for 9-11 minutes; do not over bake. The cookies are soft and cake like and taste awesome with a glass of ice cold milk. I love it when Bride's come to me with keepsakes that they would like me to work with to make something unique for their wedding day. 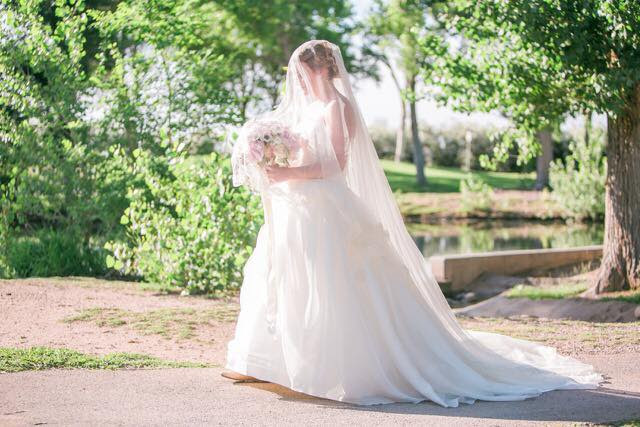 In this particular case, Megan came to me with her Mom's cathedral length veil and wanted me to use what I could from the veil to design a vintage birdcage veil for her. 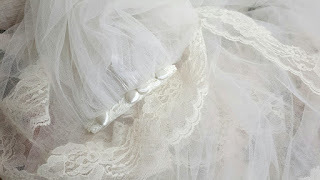 As you can see, the veil had some large chantilly lace appliques that I knew I could use....as for the tulle, well it was pretty crisp, so I just used a piece of tulle that I had on hand. Megan described to me that she would like a large flower as the centerpiece and then we discussed whether to make the veil a single piece or two distinct pieces. She opted for two pieces; that way she could remove the blusher after the ceremony and keep the flower in her hair for the reception. She also brought me a couple of pictures to help with the length. 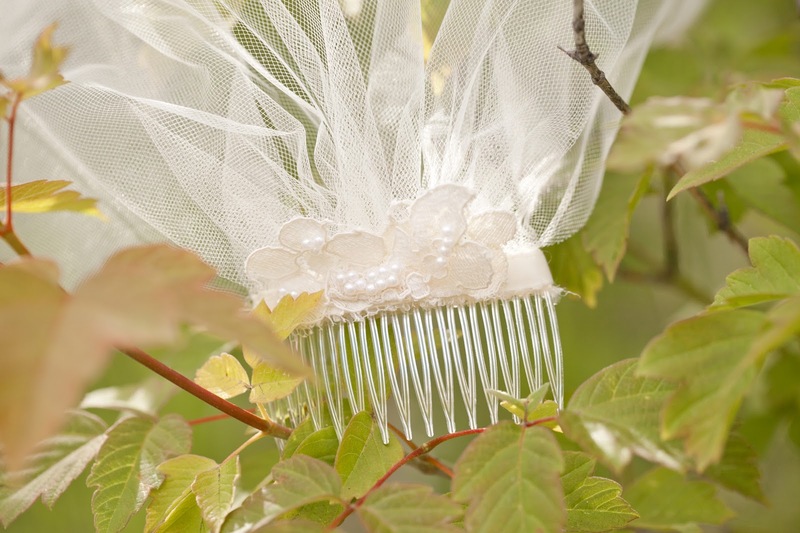 In her case, she wanted it about chin length and she also wanted to use standard tulle versus Russian netting. 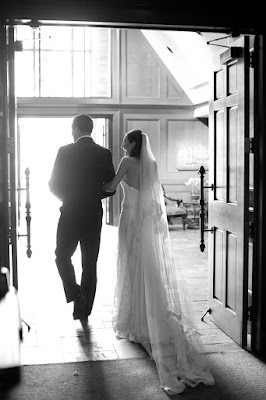 The initial meeting is so critical to my process, it helps me to fully understand what the Bride wants so I can meet her expectations. The appliques on the top of her Mom's headpiece had some pearls attached, so I took advantage of those as well. Once I had removed the pieces I needed/wanted, I began building a three dimensional lace flower. I added some Russian netting under the flower and a vintage looking rhinestone brooch to the center of the flower. For the veil itself, I used a couple pieces of applique to embellish the top of the comb. Megan was so happy with the final look...and her Mom specifically thanked me at the wedding since it meant so much to her to have Megan wear something that was hers. In this case, the "something old" had a very sentimental meaning for the both of them. I first tried this drink back in the early 80's thanks to some neighbors who introduced my husband and me to them. I kept the recipe, but may have only made it once or twice since then.. This is a great refreshing drink for the summertime. This recipe makes enough for a large crowd, or know that it is stored in the freezer, so you can make a "batch" and keep it in a tupperware and make a cocktail whenever you'd like. It's called slush since the consistency is just that, slushy! All the ingredients, including the alcohol are mixed together. Then, 7-UP or in my case, I used Squirt is added just before serving. Mix all the ingredients together and freeze for several hours (stir periodically) before serving. Add a small scoop of the slush mixture to your favorite glass, add 7-UP or a mixer of your choosing. I can't take any credit for the design concept of this pillow, my daughter saw it on Pinterest and asked if I could make one for her and her husband. It's made from a shirt of my Son-in-Law's Dad who tragically passed away almost one year ago. I love the beautiful sentiment of taking a shirt of a loved one and creating a remembrance pillow from it. The attached note is so powerful, it touches my heart each time I read it. It's so difficult to lose a loved one, so having lasting mementos that we can touch and see daily can really help with the healing process. I actually wish I had seen this years ago, I would have loved to make one from my Mom and Dad's shirts for my daughter. She was so young when my Mom passed she has just a few cherished memories. My Dad passed four years later, so she had more time and was a bit older to become really close to him before he passed, so it would have been extra special to make a shirt pillow from "Grandpa" who could give her ongoing "hugs" on a regular basis. This comes together very easily, so even if you have the most basic sewing skills you can make this happen. Simply buy a pillow form at JoAnn's or Hobby Lobby (on sale of course). Remove the sleeves first by laying the shirt on a flat surface. Cut right around the armhole. Add approximately 3/4" to 1" to the pillow measurements. In my case I purchased a large 18 x 18 pillow form, so I cut my shirt 18 3/4" x 18 3/4". Place the shirt right sides together and stitch around the perimeter using ½" seam allowances, leaving an opening to push the pillow form through (approximately 6"). Trim close to the corners and turn it right side out. Once you've wiggled the pillow form into the opening, stitch the opening closed using either a needle and thread or a sewing machine. Make a special note (it could even be a special phrase the loved one had used on a regular basis), and tuck it into the pocket of the shirt.